Verdict: No lard, no cockles and no lap cheong. But still delicious! I’m amazed! Hi Kok, thanks for visiting. the ckt is good because of his more than 30 yrs experience! 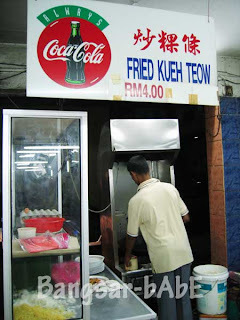 i used to eat at this stall when i was a kid and that time was he fried non-vegetarian ckt. 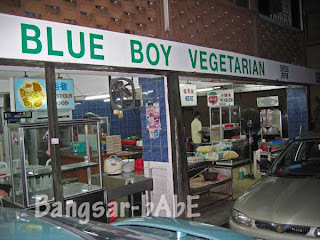 later the boss convert the whole place to vegetarian shop, and his ckt also goes vegetarian. 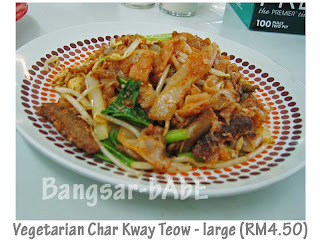 I have been vegetarian for 21 years and I’ve always been searching for an ‘authentic’ CKT. My search has come to an end, thanks to you ! Ganga Cafe in Bangsar serves good vegetarian food. Their Sunday Indian vegetarian buffet is the best. Only Rm16 per pax!